2014 is here. Seriously, when is the Xbox One coming out in Japan? Apparently there are some issues Microsoft needs to address first. Microsoft has previously expressed their commitment to the Japanese market. However, with the complexities involved with different cultures, customs, standards and regulations, they have been hesitant to make any definite statements on a release date other than "2014." Now that we've entered that rather broad release window, Microsoft Japan spokesperson Takashi Sensui has stepped up and spoke with Weekly Famitsu to address Microsoft's Japan strategy. Don&apos;t Worry, Japan. Microsoft Is Still Into You. One of the Xbox One's big sales points was that it would be a multi-media device that would be the one device you would need in your living room, and apparently Microsoft is already laying the groundwork in preparation for the console's integration with Japanese TV and broadcast devices. "We are already in talks with Japanese device makers and content providers." Sensui stated. "Cooperation with Japanese partner businesses is extremely important for Xbox One." Another major cultural setback is the fact that free space is one of Japan's most precious and scarce commodities. The original Kinect for the Xbox 360 ran into problems in Japanese homes with players unable to get far enough away from the device for it to function properly. A writer from Kotaku's sister site, Kotaku Japan, even had to rearrange his room to get it to work. With the Kinect being a vital component of the Xbox One, Microsoft has taken steps to assure that the eyes of the console would not be hampered by the snug conditions in Japanese homes. "One of the hurdles we recognized in releasing the original Kinect [in Japan] was the living space in Japanese homes and background noises and vibrations." Sensui remarked. "These problems have been resolved." Sensui also noted that the Kinect would be included with every Xbox One for Japan (no Kinect-less versions). 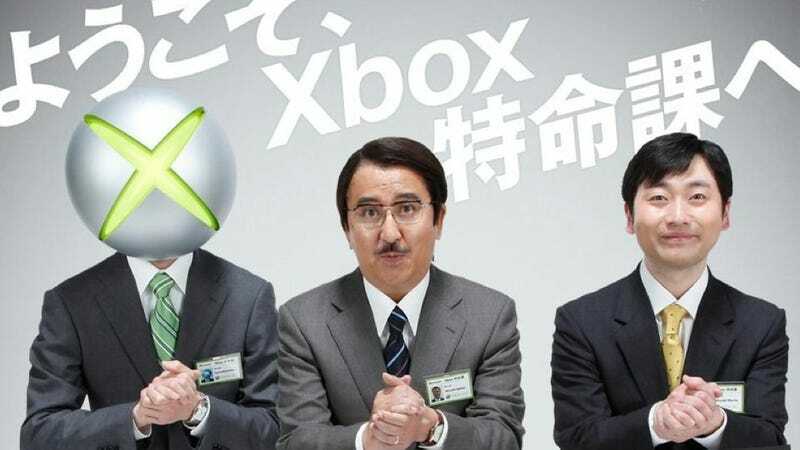 As for the major issues on everyone's mind of the release date and Japanese price tag, Sensui remained tight-lipped, but stated that Microsoft is "planning an opportunity in the near future to explain the details of [Microsoft's] Japanese market strategy." Let's hope it's real soon. With the PS4 release next month, it's beginning to feel like a race between the tortoise and the hare... Except the hare is winning.